Andreas Pereira has signed a contract extension at Manchester United that will see him stay at the club till 2019, with an additional year option to extend the deal. Besides seeing his contract extended, the talented youngster also moved to Spain after signing a season-long loan deal with Valencia. This is the 2nd consecutive season that the player will ply his trade in La Liga, after impressing on loan last year with Granada, where he appeared 37 times and scored 5 goals. 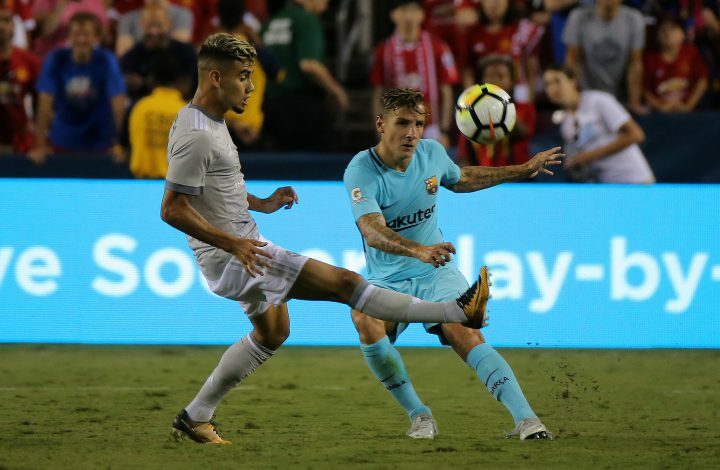 Pereira also impressed for Jose Mourinho’s side in the pre-season tour of the United States, but with a host of attacking players in the team, Pereira would have found it difficult to get regular playing time. Therefore, a loan move turns out to be a positive one for both the player and the club. Jose praised the youngster whilst talking to the club’s official website, by stating that the Brazilian has a natural ability, along with the potential to rapidly develop for the future. ALSO READ: ‘More Than Just A Powerful Goalscorer’ – Lukaku’s stats compared to Morata, Mbappe, Costa and Lewandowski. “Andreas is already a very good footballer. He is a young player with great natural ability and a good attitude towards continuing his development. I have no doubt that he has the potential to be one of the future great players of this club,” he said. Meanwhile Pereira seemed excited about his move to Valencia as well as for extending his contract at Old Trafford. “I am delighted that I have extended my contract with this great club. The manager is building a great team here and I want to be part of that as soon as possible,” said the youngster.